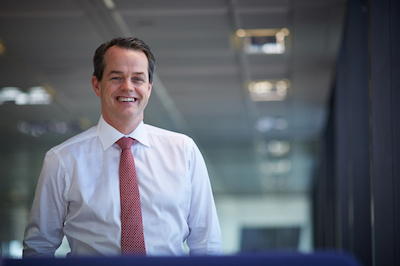 Aviva plc, the UK’s second-largest insurer, said on Monday that Falkirk-born Maurice Tulloch will become its chief executive officer with immediate effect. Tulloch most recently has been Aviva’s Canada-based CEO of international insurance with responsibility for France, Canada, Ireland, Italy, Poland, Turkey and India. He was previously CEO of Aviva UK and Ireland General Insurance, one of the largest businesses in the Aviva group. Tulloch will receive a basic annual salary of £975,000 and be eligible for an annual bonus that will pay up to a maximum of 200% of salary. He will receive pension contributions of 14% of salary. Tulloch is a Chartered Professional Accountant (CPA, CMA), and holds a MBA from Heriot-Watt University in Edinburgh and a BA in Economics from the University of Waterloo. Aviva chairman Adrian Montague, who has been acting in an executive capacity since former CEO Mark Wilson left the firm last October, will revert to his role as non-executive chairman on March 4. Montague said: “Maurice will be an outstanding chief executive of Aviva. “He knows the business inside out. He has led our businesses in the UK and internationally and built strong teams across life insurance and general insurance. “Maurice knows our strengths, knows where we need to improve and has a deep understanding of insurance and customers’ needs. “He is exceptionally well qualified to re-energise Aviva and deliver long-term growth. “The board has run a thorough and highly competitive process and we have interviewed external candidates alongside highly experienced and respected internal candidates. Tulloch said: “I am honoured to lead Aviva, a business I’ve been part of for 26 years. “There is a clear opportunity to realise Aviva’s significant but untapped potential.